THIS POST HAS BEEN UPDATED. PLEASE CLICK TO REFER TO THE LATEST INFORMATION. Graduation products that have been ordered from Herff Jones will be available for pick-up on Friday, May 18 during Advisory and Lunch. Items for students taking the AP Latin test will be pulled for pick-up on Monday, May 21. Students who require an alternate pick-up time (pre-planned absence, Running Start, field trip, etc.) should email Ms. Antoncich at smantoncich@seattleschools.org. Questions regarding graduation products can be directed to Louis Bremond at 1-800-800-4083 or highschool.herffjones.com. Prom will be on Friday, June 8 from 8 – 11 PM 9 AM – 12 AM (midnight) at First & Bell. Tickets go on sale THIS WEEK in the Commons during lunch. Tickets are $30, or $25 with ASB sticker or Free/Reduced Lunch letter. Tickets prices increase weekly, so get your tickets early! Prom guest passes are available now outside the Activities Center in the Commons and in the Main Office. They are due on Friday, June 1 at the latest, but get them in early to lock in your lower ticket prices! Graduation rehearsal has been changed to 8 AM on Wednesday, June 20 at Memorial Stadium. Please arrive at 7:45 AM to ensure we can complete our rehearsal on time! 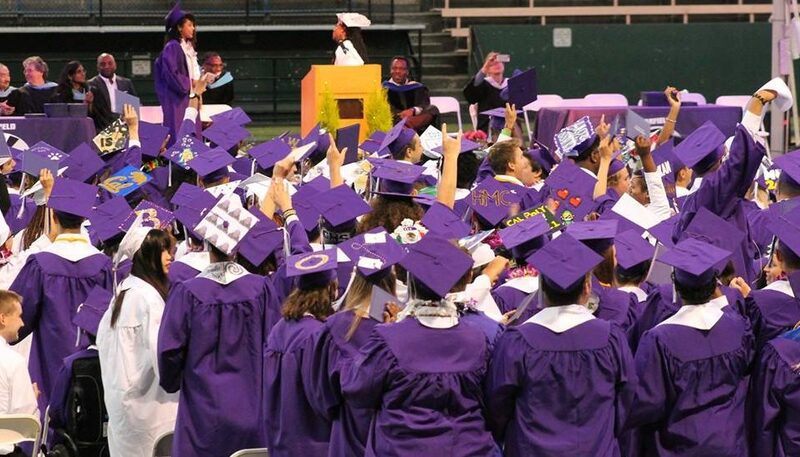 Graduation time has been changed to 8:30 PM on Wednesday, June 20 at Memorial Stadium. Please arrive at 7:45 PM and meet at the Northeast corner of the stadium. The Senior Celebration will be held on Thursday, June 7 from 5:30 – 8 PM. Join us in the Quincy Jones Auditorium to recognize student achievements and then the Commons to share a meal. Take-home boxes will be provided for students and families observing Ramadan. Questions? Email Ms. Antoncich at smantoncich@seattleschools.org!